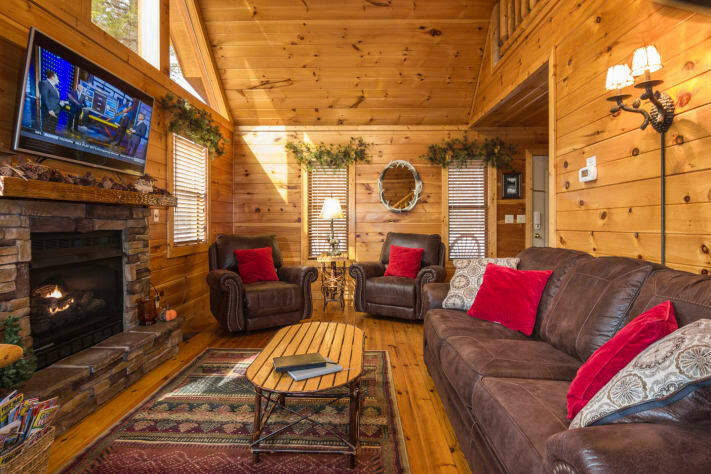 If you want a great escape from everyday life, pet friendly Mountain Laurel offers a peaceful retreat only a few minutes from Pigeon Forge (5 miles) and Gatlinburg (7 miles). It's a quiet location on a dead end street in a security-gated community so you won't have thru traffic noise. Just the sounds of nature all around. 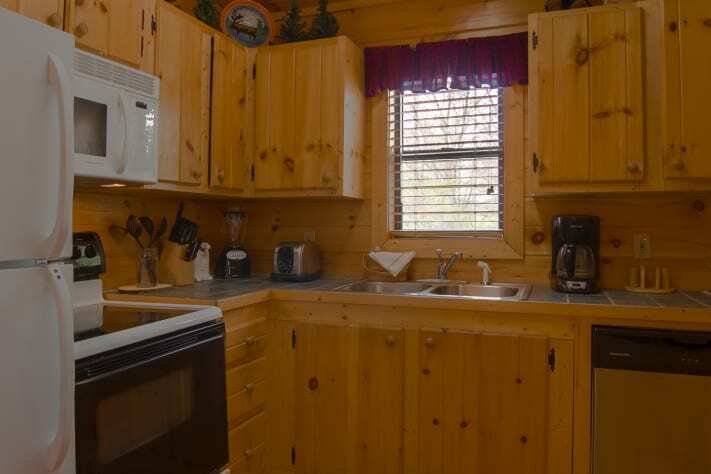 But don't worry that you'll have nothing to do--this cabin is filled with fun! 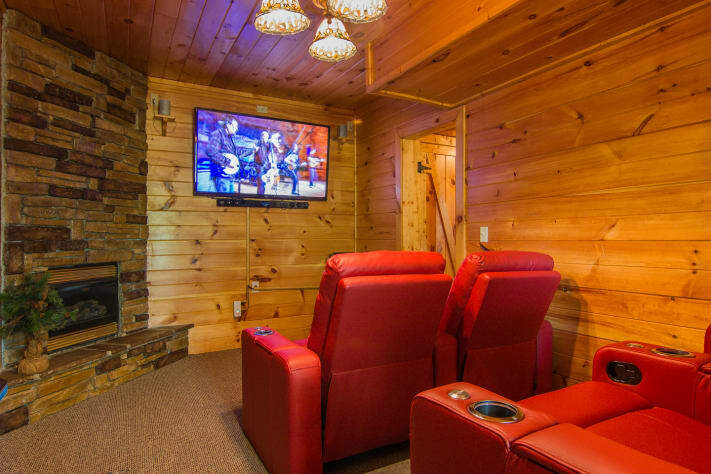 The private theatre room on the lower level features a 60 inch flat screen TV w/sound bar and 4 red stadium-style recliners. 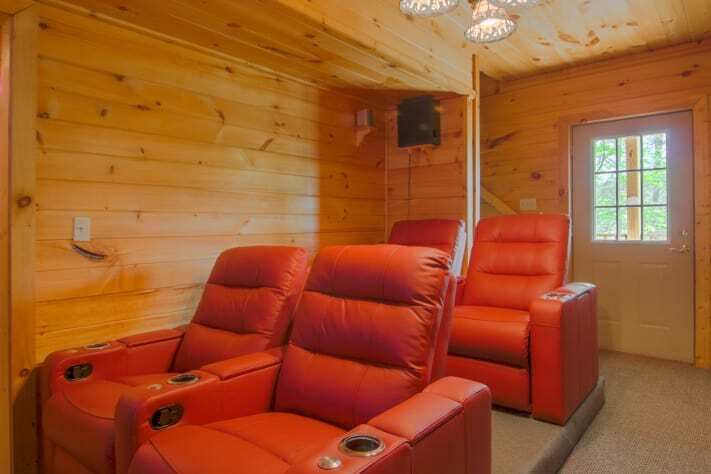 Everyone has the best seat in the house with these recliners! Remember PacMan, Frogger and Space Invaders? 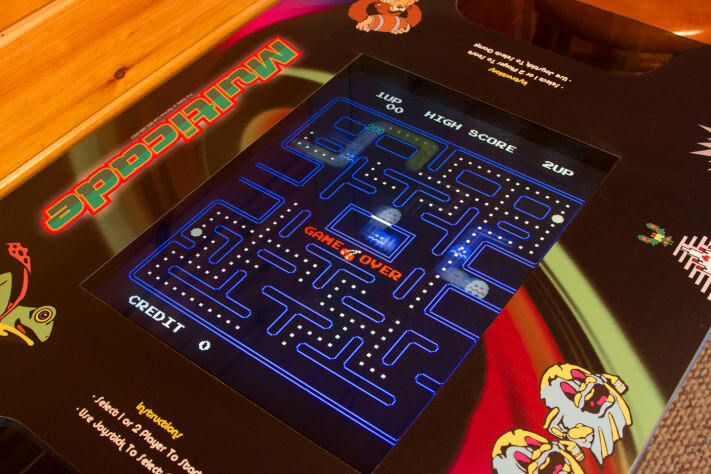 Time travel to the 70s and 80s with these vintage arcade games and more with the 60-game Multi-cade game table in the theatre room. 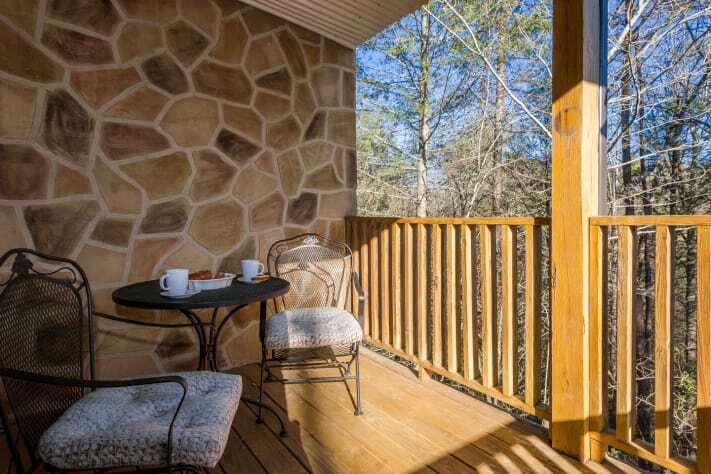 A small deck right off the Theatre Room has a table and chairs for two so you can enjoy a snack or just some quiet time with a good read or catch up on emails. 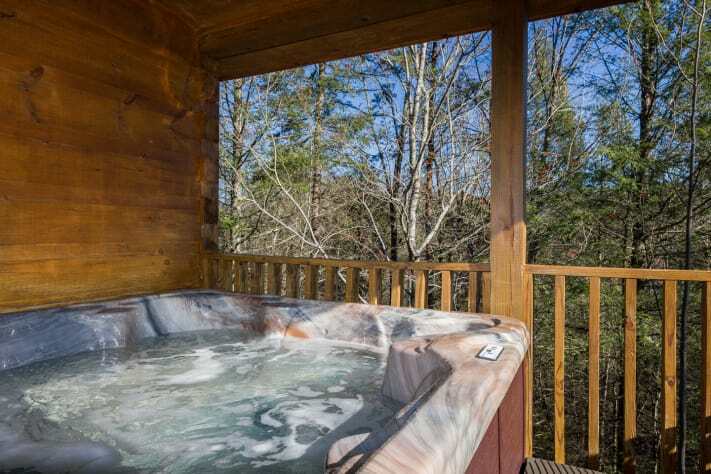 There is a hot tub for 4 off the private rear deck on the main floor that looks out to the woods--not the neighbors. 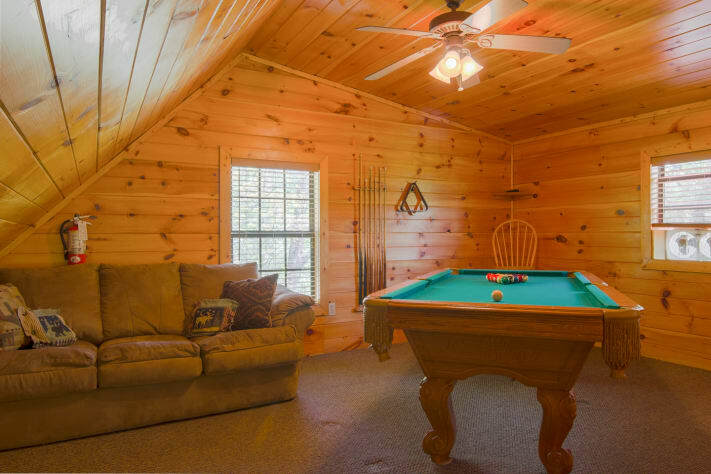 There's also a loft area with pool table and sofa. 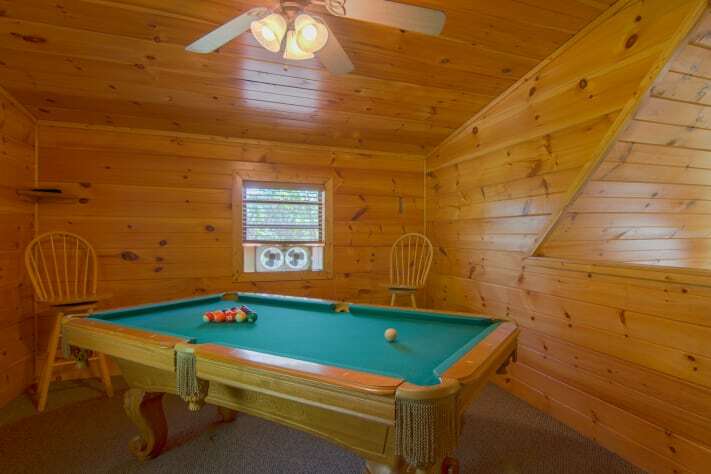 A perfect space for the kids to hang out. 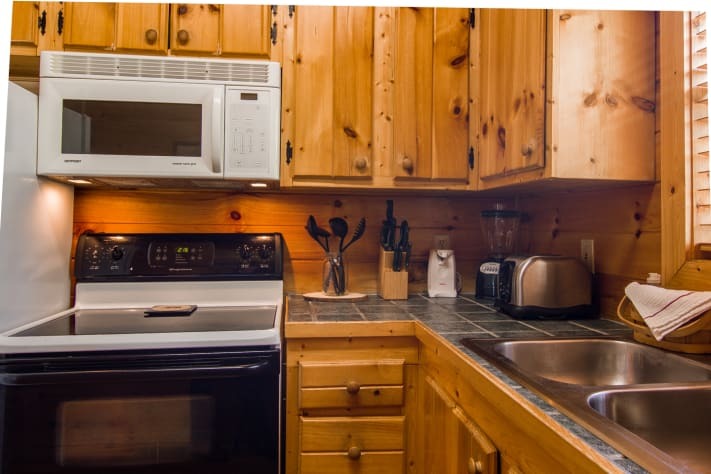 The kitchen is well outfitted and ideal for making breakfast or lunch before heading out for the day. 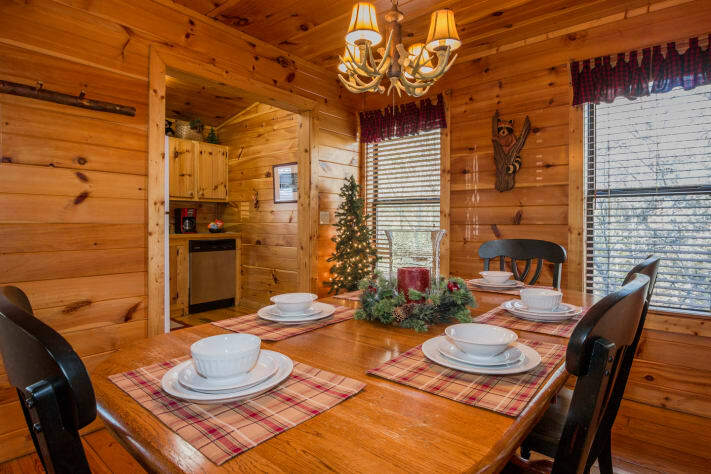 Or plan an evening in and grill on charcoal grill and enjoy a relaxing dinner at the cabin. 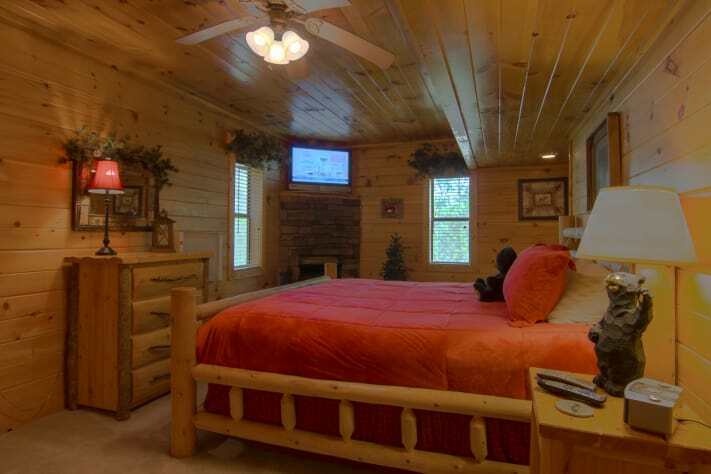 A main floor queen log bedroom provides easy one-floor-living if someone in your party has difficulty with stairs. 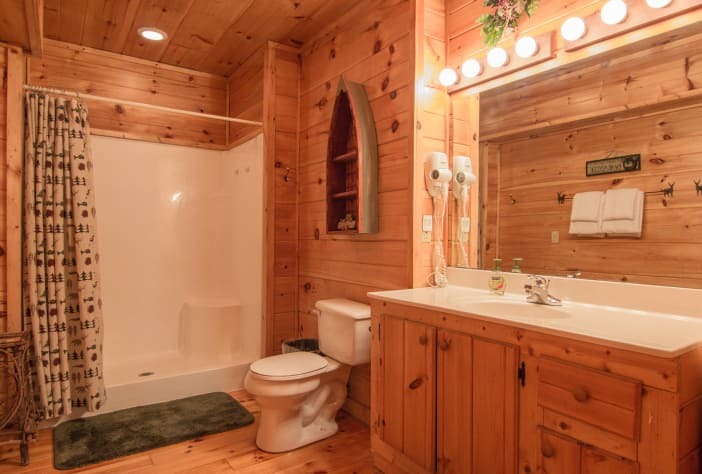 There's a standard full bath with tub and shower right next to the queen bedroom. 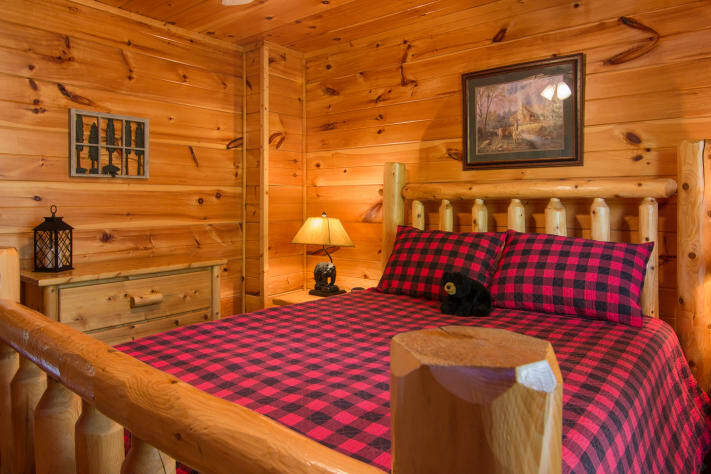 The master king bedroom is on the lower level and includes an in-room corner jacuzzi tub, fireplace, TV and large bathroom with spacious walk-in shower. 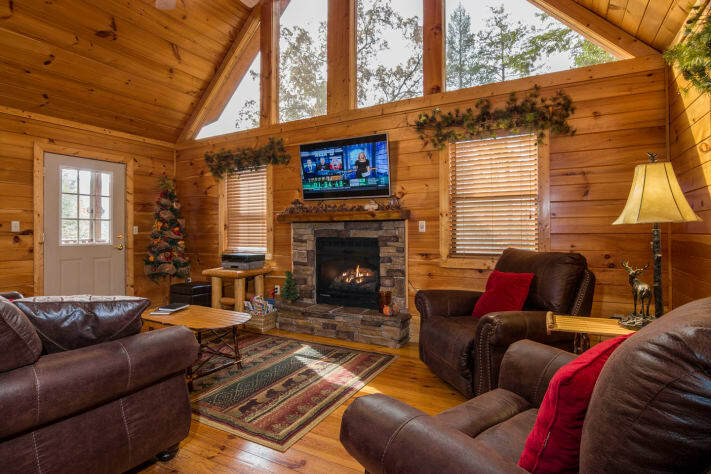 Please note that this cabin is SMOKE FREE and guests who smoke must agree to do so outdoors only. Thank you for being considerate of all our guests! PET POLICY: Small dogs only, 25 pounds or less. We welcome well-behaved, adult dogs. Must be housebroken. 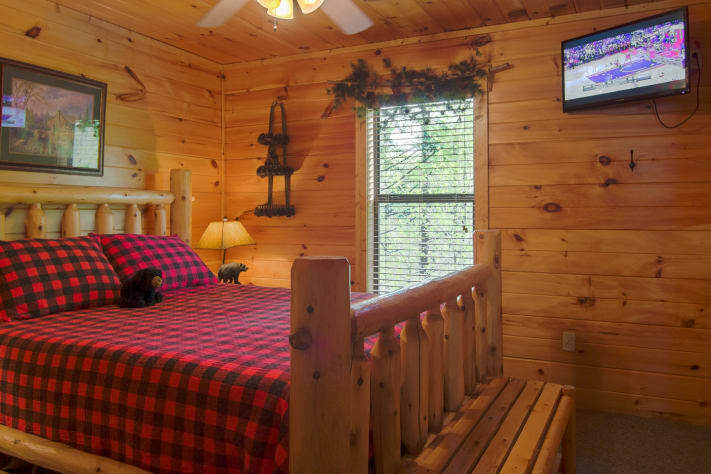 Dogs must be crated when you are away from the cabin. The pet stay fee is $95.00 plus applicable state tax. More than one dog considered on a case by case basis. 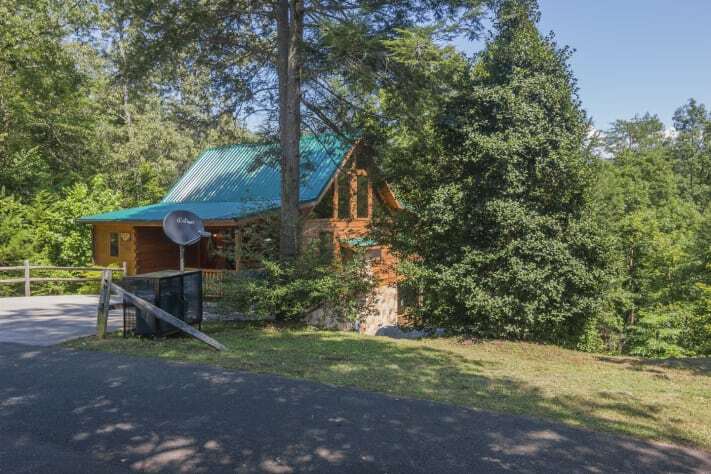 Very clean and plenty of room for a family of 4 plus a dog! Would definitely stay here again. Amy was so nice to deal with and very quick to respond back! Thank you so much! It was great. We especially loved the movie room. Close to everything. 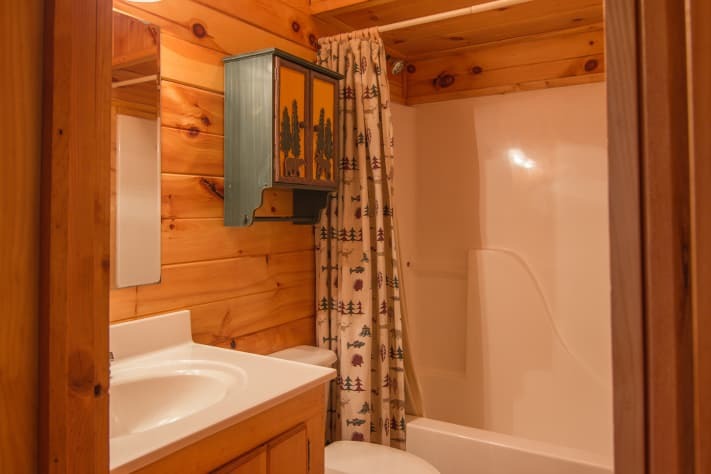 The cabin is in a perfect location. 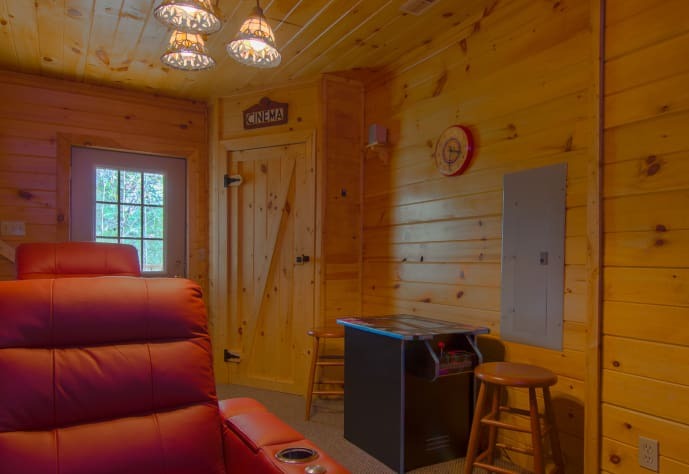 My kids loved the theatre room with arcade games. 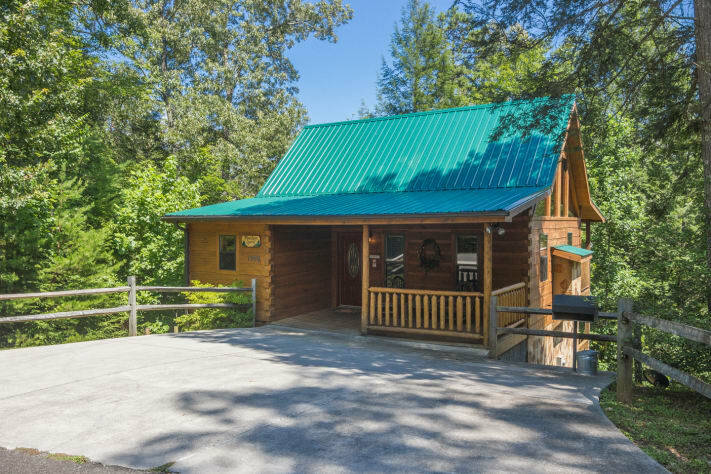 We have stayed at lot of VRBO properties in the past and this one was by far the most stocked at of all of them. We had a few issues that happened, frozen pipes and one of the fireplaces pilot went out, but all we had to do was text Amy and she had someone their within a few hours to fix the problem. Amy was great to work with and the cabin was awesome for my family. 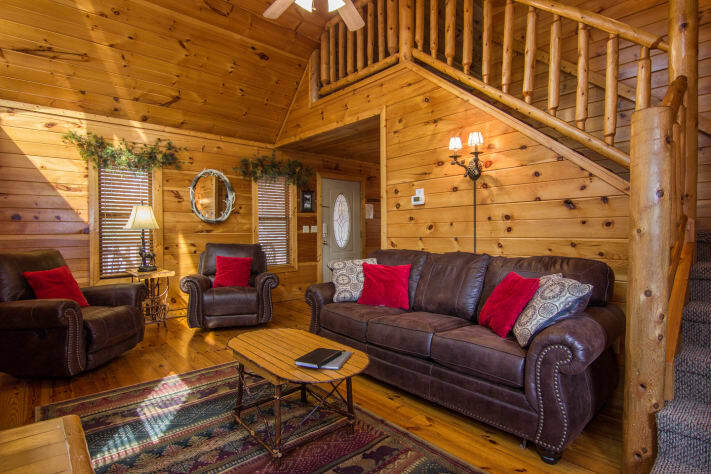 We really didn't want to leave the cabin to go to Gatlinburg we enjoyed it so much. 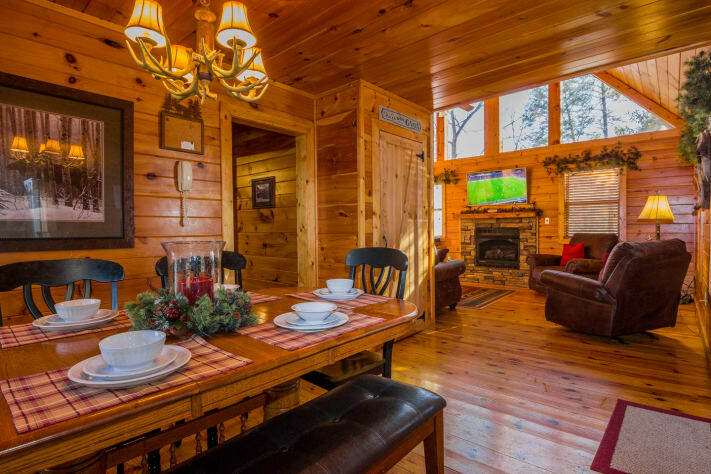 My family and I had a great time at this cabin! 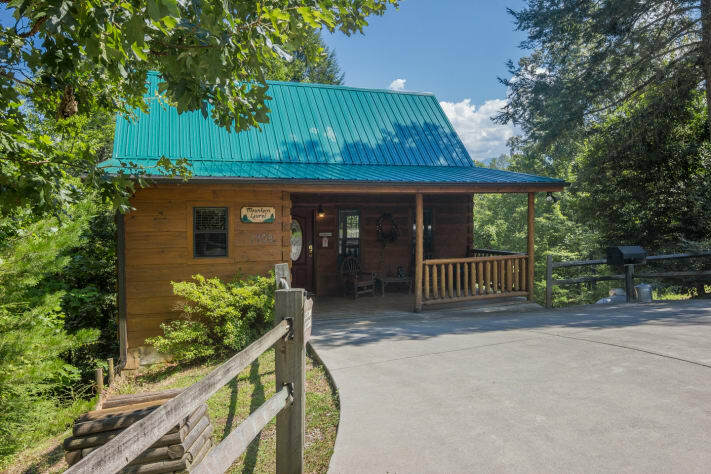 Perfect for our family of 6 (boys don't mind sleeping on sofa beds) This cabin had tons of fun things to do there - video games, movie room, pool, hot tub - definitely would stay here again! Amy was a joy to work with and very attentive to all my inquiries...thanks so much!